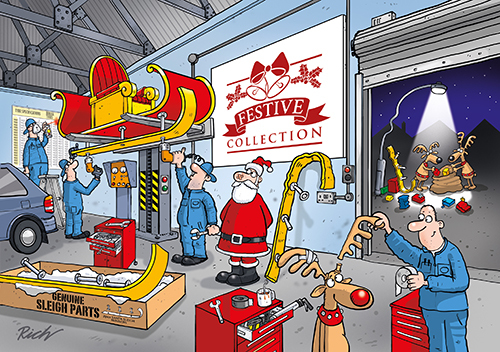 With our Automotive, Service and Contractor company Christmas cards you can personalise shop fronts and vehicles with your corporate logo or name to make it look like your own. 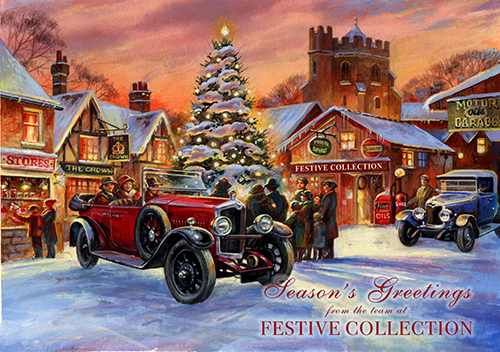 You can also add your company contact information on the inside of the card, including your address, phone number or email. 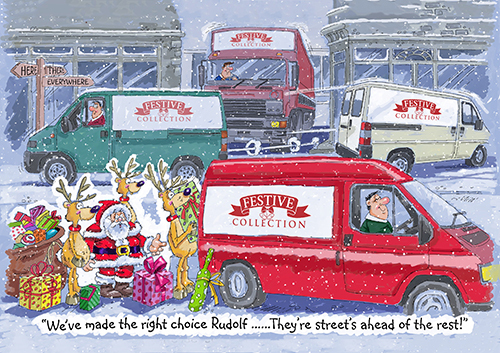 We have a range of classic Christmas themed automotive cards and humorous illustrated cards, so we’re sure you’ll find something to suit your business.